You can find Augustiner Restaurants throughout Germany. This one is located next to the Frauenkirche, which was destroyed during WWII and eventually rebuilt 50 years later, using much of the original material that was salvaged after the bombing. 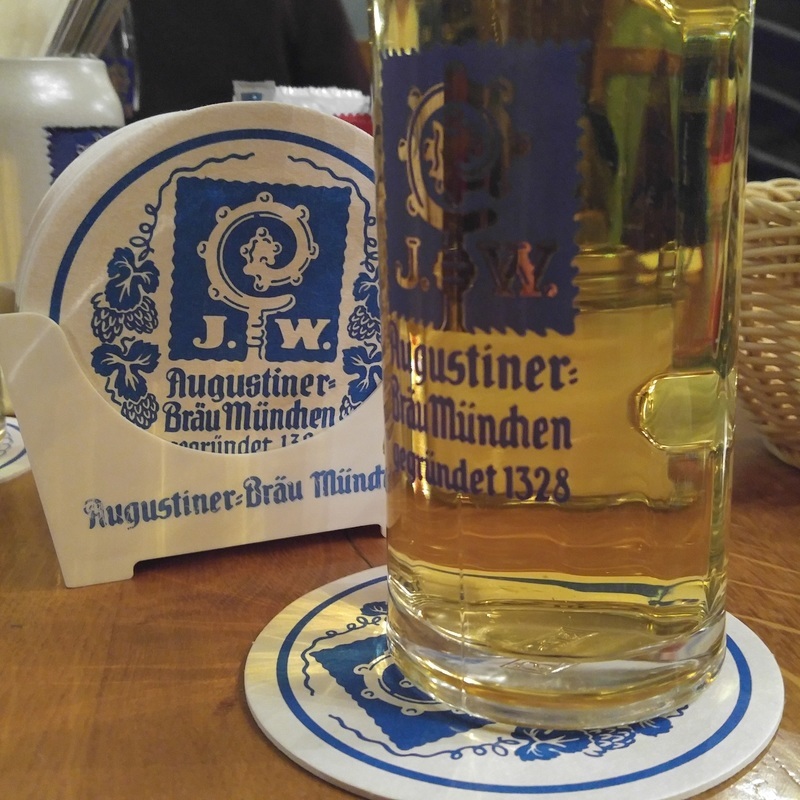 Augustiner was established in Munich in 1328 and is Germany's oldest independent brewery. 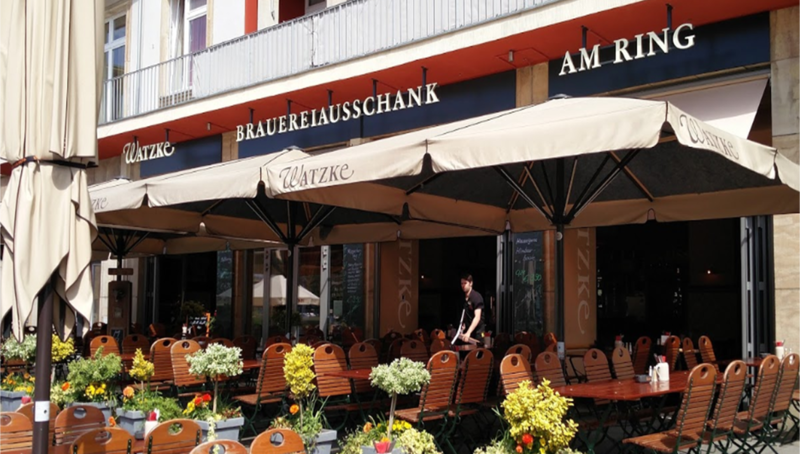 It's a great place to enjoy some beer and German food after work. Oh, and don't forget the fresh pretzels. They are the absolutely the best here. Quaint little restaurant/cafe with just a few draft beers available from their larger brewery. Typical German quality and styles available.